Maybe it was because of recent graduations. Perhaps it was remembering my Mom’s upcoming birthday (Arrivederci, Mama). It was probably a home video of my childhood, sent by my younger brother. The video includes many scenes from my early childhood, back when we kept waving because there was no sound and we were taking moving pictures. Included were a few birthday shots with cake and cousins. And my Mom. From the video, I captured a still of me and my cousin, Al, posting it on Facebook. That’s probably how the rapid flood of memories began. A few friends from decades ago caught a glimpse and liked the picture. The reconnecting began. I remembered a certain girl from early childhood. I didn’t know what a crush was back then, but my Mom told me I had one. I connected with my first “crush” on Facebook. There is gladness in my heart for this memory. She is still a beautiful girl. She is also part of a Facebook group from our graduating High School Class. I joined in (with permission). My face was painted with smiles, then tears. Sorrows, followed by laughter as I went through the posts. Remembering places and faces. I’ve never been too nostalgic, until this past weekend. 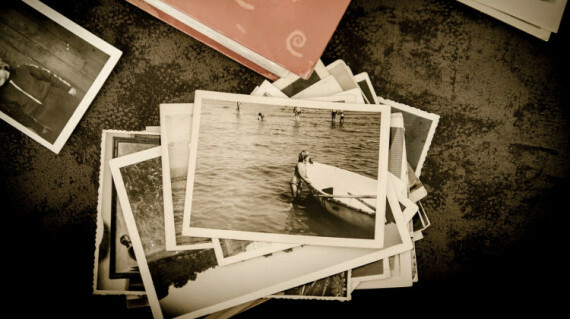 I no longer have possession of any of the photos or documents from my past. I have the memories. While hesitant to re-connect with some classmates who hurt me – or with those whom I had hurt – I began to realize how important each and every one of these people and memories are in my life. I’m glad the reconnecting has begun. I’m glad to look back on these school day memories as valuable. I’m glad for these people and how they’ve grown. Facebook, to me, is as much a prayer list as anything else. As I scroll through updates, I find myself praying for the person rather than reading their update. I’m grateful my prayer list just got bigger. Special people, those I grew up with. And my Mom.